My Barn Child was the first North American company sending me products to review. When I read their first e-mail I couldn't believe that Equestrian Trend was known in North America! Today, Averill and her business have become part of my days, I love seeing their new products and reading everything Averill writes, she is awesome! I also have many of their products, if you buy one, then you can't stop because you know everything is gorgeous and will make you look stunning! Thank you My Barn Child for being one of the biggest supporters of Equestrian Trend, I owe you many of my readers! 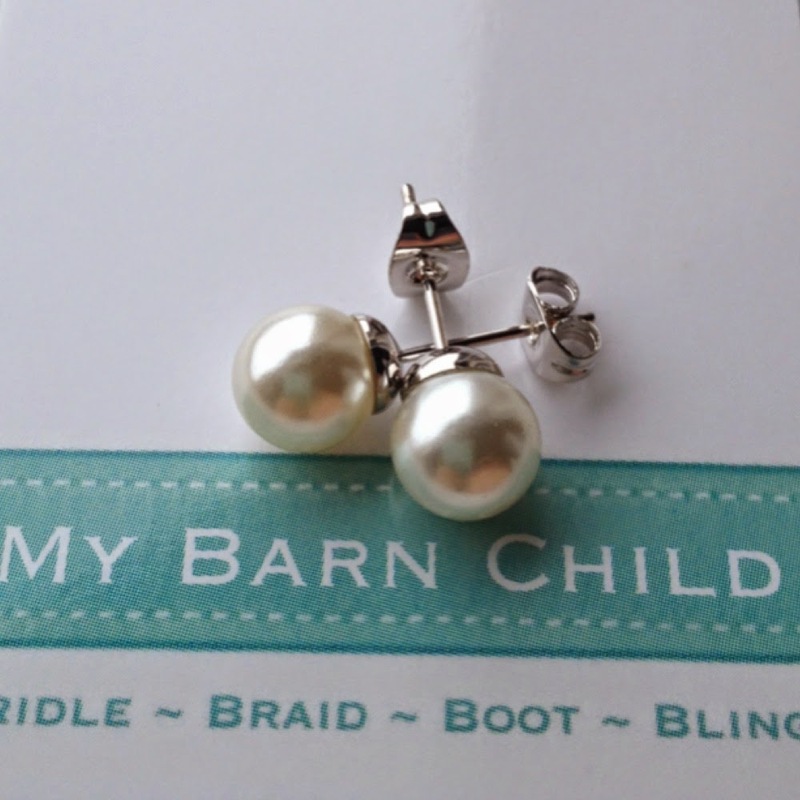 To celebrate My Barn Child and Equestrian Trend are giving away two MBC products: The lucky winner will get one Infinity Pearl Charm and one pair of White Gold Pearl earrings! Ahh another awesome blog give away! This is so awesome, I'm glad you managed to team up :) Love the MBC products and love your blog! I can't think of any other blog that has had so many great blog giveaways. Love MBC charms and this blog! This looks like an amazing giveaway! Thanks to MBC for promoting the blog! My Barn Child and Equestrian Trend are both amazing, so together they're a great collaboration! These charms are two of my favourites - would love to win these! Such a pretty and elegant combo! I know, right? It's one of my favourite combos! Another great Canadian brand! 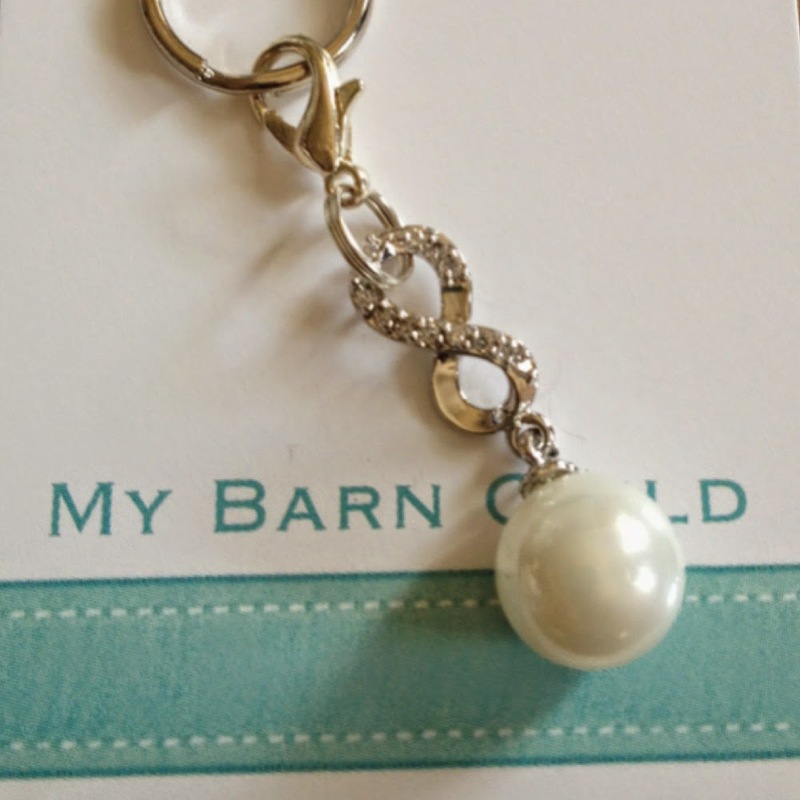 These charms are so cute, they just add a nice finishing touch to any horse and rider pair - whether schooling or in the show ring. Love them! Great Canadian brand and awesome blog! So proud to have a fellow trillium zone competitor and awesome entrepreneur be showcased on Equestrian Trend! Love this blog! I'm obsessed with pearls! I have wanted to check out mbc products but haven't had a chance. Congrats on your anniversary! love Mbc, can't wait to see who wins!! I love MBC. And I absolutely love the pearl earrings and charms. They are just so classy and pretty. I am in love with this giveaway & now EquestrianTrend! I don't have any MBC yet and I'm dying to have some! So excited for this giveaway! These MBC items look absolutely adorable! & will go great with any outfit! I love MBC charms & I really enjoy this blog...it is so interesting! Thanks for sharing! I love pretty things. Fingers crossed I win these!